Whether you’re the office manager who’s charged with organising a corporate event or the bride to wants to deliver the most spectacular wedding ever, there are some things that you simply must do if you want the day to go off without a hitch. The first issue I would refer to is your choice of corporate entertainer as this can have a huge impact on the success of your gig – and how people talk about it afterwards. If you suspect that it may be a tad on the raucous side, for example, with maybe a beer or two consumed, it’s pointless booking a classical singer or a string quartet as entertainers. They simply won’t be given the chance they deserve. Instead, you’re much better off booking an act that will tap in to this sense of mischief and devilment, so a good comedian with an ability to change things on the hoof could be a great choice. Another choice you must make is to decide whether your entertainment will be a highlight, or simply help to make the event go that little bit more smoothly, with greater levels of interaction on the part of your guests. 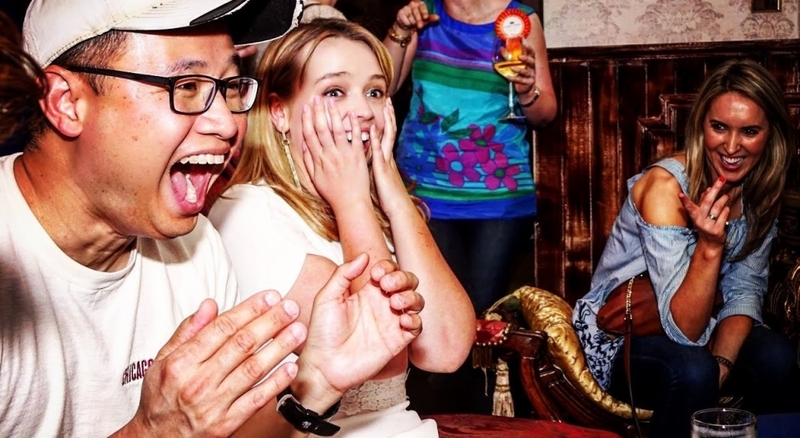 In this case, a mentalist, mind reader or magician can be the perfect choice, as he or she can mingle easily with your guests, getting them to loosen up and come together to marvel at feats of close-up sorcery. It’s also important that you don’t be seen to ‘try too hard’, in which case the entertainment can almost overshadow the main thrust of the event, whether it’s a product launch, an annual sales conference or a staff get-together. Sometimes, the people who attend your event would like to wander around the room networking with new contacts or pressing the flesh with prospective new clients. If you have a regimented programme of entertainment in place, this can prove to be an obstacle rather than a part of the gig that’s actively looked forward to. But what about booking the actual acts? What should be your main criteria? Well of all the things you should take into consideration, perhaps the most important is checking out the act. You can watch all the videos of the entertainer on YouTube, but they’ll obviously be highly edited highlights. Better by far to check out the act in the flesh, checking out how they manage a crowd, how they read the room, how they keep the energy flowing as the day or night ebbs and flows. This is particularly true of comedians. Make sure that their version of ‘funny’ matches your own – and that of your audience. Another key thing to check when booking an act of any description is to be sure that they can be heard. This sounds like a no-brainer, as most conventional venues have an audio-visual system that’s been tried or tested. But if you happen to go for a novelty venue that’s not used to accommodating events, the onus is on YOU to make sure that they have a proper system in place – or that it will be hired in time for the big day. Nothing is more frustrating than sitting in a large room full of people and struggling to hear what the corporate entertainment act is saying, or hear the speech of the Sales Manager, or even hear that great Abba tribute act to full effect. And here’s one more tip that you should consider. Have you got a contingency plan in place? Corporate entertainers are like any other people – they get sick, they’re involved in a car crash, or perhaps they suffer a bereavement. If any of this happened to your entertainer, what would you do? The solution is to have a number two pick in mind. Or alternatively to ask your entertainer if they recommend anybody in particular when they happen to be fully booked and a client has no flexibility on the date. It’s the motto of every good event planner to ‘Be Prepared’. You can hope for the best, but you should prepare for the worst at the same time. The bottom line is that any corporate event or wedding should be treated like a military manoeuvre – and planned with military precision. I’ve spoken to hundreds of brides and grooms over the years, and I’ve yet to hear one of them say that they were over-prepared for what happened on the day. Better by far to have a contingency plan and not need it than to need it and not have it!